At Plumber Crumlin if it’s a burst pipe, blocked drain or whatever the issue, we have the solution to all your plumbing problems. Our team are waiting to hear from you. We are always on call and available 24/7, 365 days a year. 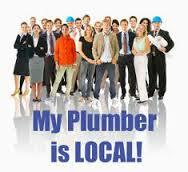 This means we can cover any plumbing emergencies and standard plumbing services your home or business may require. We guarantee that we can be at your premises within 60 minutes, often a lot quicker to help with any plumbing emergency you may have. All of the team are fully qualified in all aspects of the industry. They are all R.G.I. registered and fully covered by public and professional liability insurance. For your extra peace of mind all of our work comes with our “plumbers Crumlin” parts and labor guarantee. Our Crumlin Plumbers have built a reputation for customer satisfaction. With their expert domestic plumbing knowledge our customers are never left disappointed or unhappy. We also know our prices are as competitive as any firm in Dublin. Our clients know that when we start a plumbing job, we will ensure that the job is finished to the highest standards. This means you can rest assured and sleep soundly knowing that you will be completely satisfied with all the services our plumbers provide. Please see just some of the services our team at Plumber Crumlin provide. • Complete bathroom refurbishments and kitchen installations. • Drain unblocking. We use C.C.T.V. inspection then jet flush or use plumbers snakes and drain rods. • Domestic appliance plumbing such as washing machines and dishwashers. • Our R.G.I. registered engineers complete a professional boiler service. • Full central heating system installations and repairs. • An emergency plumber Crumlin 24 hour call out service..
• Toilets, showers, baths, bidets, taps, sinks and wet rooms fitted or repaired. Unlike the majority of our competitors at plumber Crumlin we are completely transparent in the way we operate. We always make our clients fully aware of all of our rates at the time they inquire or book a job. We do not charge for call outs or traveling time. When we “source parts” we do this in our time not yours. We have no miscellaneous charges such as parking fees or have any other hidden charges. This approach has been the cornerstone upon which our excellent reputation has been built over the years. If you need any assistance, call your local plumber in Crumlin today on 01-2844921.